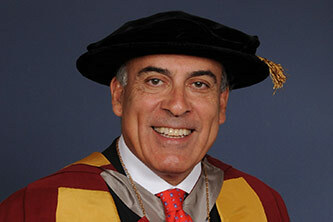 Dr Muhtar Kent is Chairman of the Board, CEO and President of The Coca-Cola Company and has held this position since April 2009. Prior to this he was President and CEO and, earlier, President and COO. 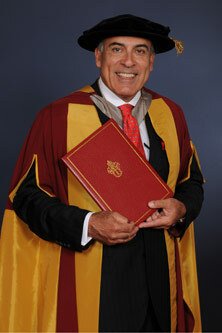 Dr Kent joined the company in 1978, travelling across America to sell Coca-Cola. He held a variety of marketing and operations roles, until 1995 when he was named Managing Director of Coca-Cola Amatil-Europe, responsible for bottling operations in 12 countries. In 1999, after 20 years with The Coca-Cola Company, Dr Kent left to become President and CEO of the Efes Beverage Group at Anadolu Group, the largest local shareholder of the Coca-Cola franchise in Turkey and one of Europe's largest international beverage businesses. During his time with Efes, Dr Kent extended the company's territory from the Adriatic to China. Dr Kent re-joined The Coca-Cola Company in 2005 as President and COO of the North Asia, Eurasia and Middle East group, including China, Japan and Russia. The following year he was promoted to President of Coca-Cola International, responsible for the company's operations outside of North America. In addition to becoming one of the first MBA graduates from from City's Cass Business School (then City University Business School), Dr Kent holds a Bachelor of Science degree in Economics from the University of Hull. He is the Chairman of the International Business Council of the World Economic Forum, Co-Chair of the Bipartisan Policy Center's CEO Council on Health and Innovation, a fellow of the Foreign Policy Association, a member of the Business Roundtable and has been the Co-Chair of The Consumer Goods Forum, the Chairman of the U.S.-China Business Council and Chairman Emeritus of the U.S. ASEAN Business Council. He is also a member of the Eminent Persons Group for ASEAN, appointed by President Barack Obama and former Secretary of State Hilary Clinton. Dr Kent serves on the boards of 3M, Special Olympics International, Ronald McDonald House Charities, Catalyst and Emory University.